Enchanted Children's Academy is a locally owned preschool facility for children 18 months to school age. Our motto is to "nurture, teach, and inspire" each child in our care, and our mission is to provide a safe, loving, learning environment. We want parents to breathe a sigh of relief when they leave their child with us in the morning, knowing they are in the best place they can be away from home. 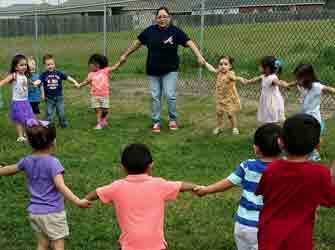 We begin in our 18 month old class teaching children life skills and helping them develop physical, mental, social, and cognitive capabilities. As they grow we continue to challenge them to learn the basics they need in preparation for kindergarten and their future education. 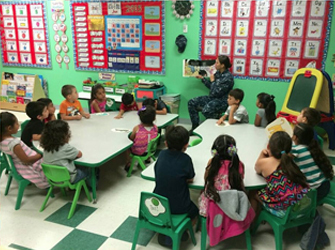 Many of our graduates are asked by their kinder teacher where they went to preschool. 18 mos. to 7 yrs. Child Care on CityOf.com/CorpusChristi a member of CityOf.com - More Local... FASTER.